It’s that time of year: HOT. I want to eat only cold and frozen food, and popsicles fit that bill! One of these days I will stop complaining about how hot it is. (When that day comes, you’ll know it’s winter.) Pretty much all I want to do right now is lay on top of the fan and eat frozen treats. Last week my mom gave me a huge bag of lemons. By now you all know of my intense love of all lemon desserts, so getting a free bag of huge lemons is pretty much a rainbow sparkle day for me. I wanted to make lemon allthethings, but I had to narrow it down to just a few. The fact it was 109° outside helped me narrow it down even further: popsicles! 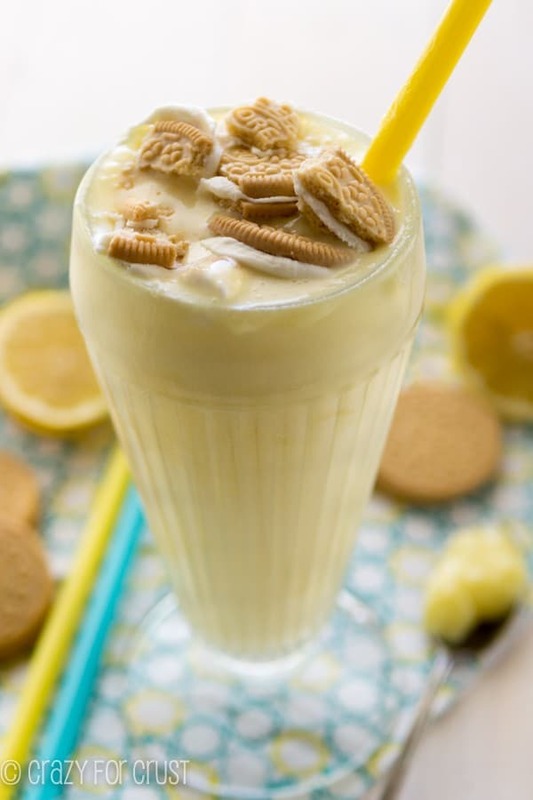 And, because I love lemon pie (evidenced by recipes for tarts, bars, and a milkshake in my archives), turning pie into popsicles seemed like the thing to do. These popsicles are made using nonfat vanilla Greek yogurt. I added some fresh lemon juice and sugar but I really wanted to pump up the lemon flavor, so I added some McCormick Pure Lemon Extract. I love the taste it gives to any recipe; it reminds me of the Lemonades Girl Scout Cookies. Turning pie into popsicles makes for a super easy recipe, one that your kids can even do all on their own. Jordan helped me mix in the extract and a little bit of McCormick yellow food coloring. I wanted the pops to look like lemon and taste like it! You simply stir all the ingredients together and add them to your popsicle mold. I have a real popsicle mold that I love to use but it was already full in the freezer when I made these. (This is the popsicle mold I have.) I debated cleaning it out to make these but then I remembered that the little paper Dixie Bath Cups work perfectly for popsicles. You can use either mold! Of course, no pie would be complete without a crust. I added some crushed shortbread cookies to top of the lemon mixture in the molds. After stirring the mixture up a little, most of the crumbs freeze on top to give your popsicle a crust…just like a pie. You can use regular, lowfat, or nonfat yogurt. I used Greek style, but feel free to use a regular yogurt if you prefer. I suggest using the vanilla or you might need to add more sugar. I used granulated sugar to sweeten. The lemon juice adds a fresh tartness to the popsicle, but you need a little more sweet. 1/2 cup of sugar was perfect for me, but taste test to make sure you like it okay. Feel free to substitute a sugar-free sweetener for the sugar, but beware you’ll most likely need less than 1/2 cup. You can use popsicle sticks or cute straws as your stick. I am a hoarder of straws and I thought they looked pretty with the yellow of the popsicle. I get my colorful straws on Etsy (just search paper straws). 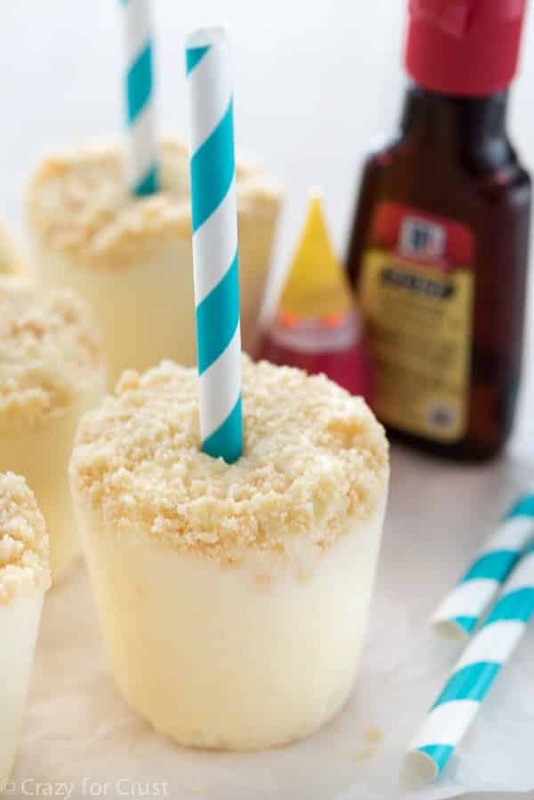 This Lemon Pie Popsicle recipe will make anyone happy this summer, because it’s so easy. It’s also good, because it’s pie on a stick. These are going to get me through summer…I hope! 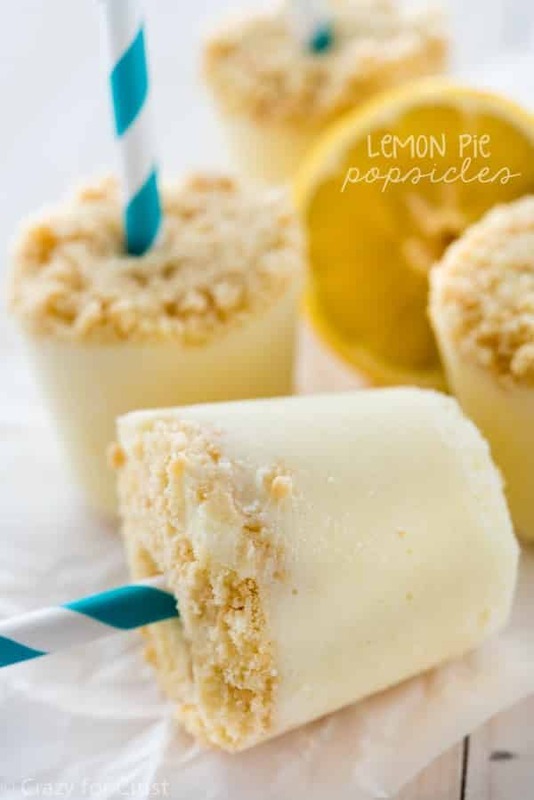 These Lemon Pie Popsicles are the perfect way to have your pie in a frozen treat! Made healthier using Greek yogurt, these pie pops are full of lemon flavor from fresh lemon juice and extract and even have a shortbread crust! 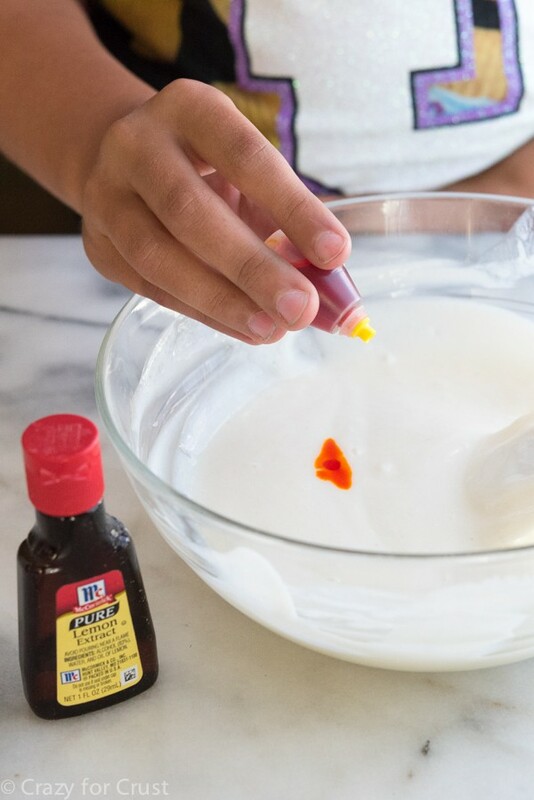 Stir yogurt, lemon juice, sugar, extract, and food coloring in a medium bowl using a spatula or wooden spoon. 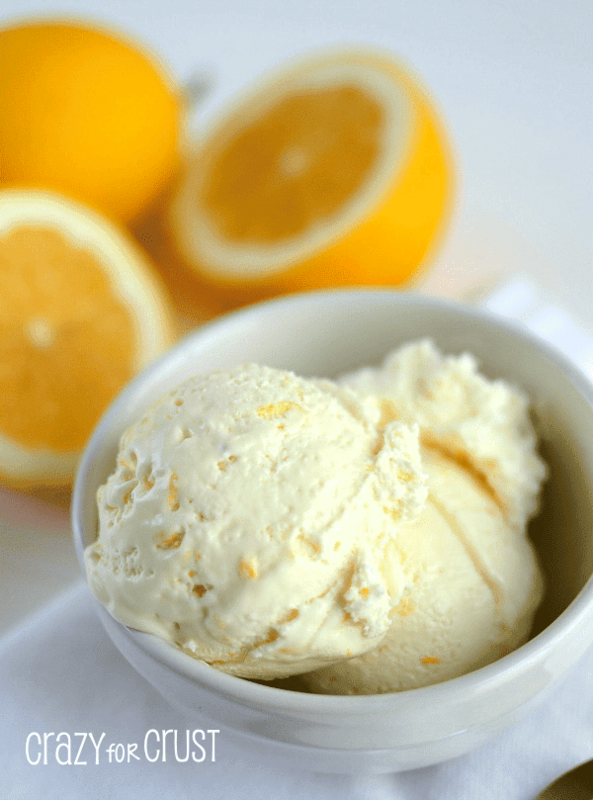 Scoop equal amounts of lemon mixture into paper dixie cups or popsicle molds. Mine filled 8 dixie cups about 2/3 full. Sprinkle about 2 teaspoons of cookie crumbs on top of the yogurt mixture. Use a toothpick or popsicle stick to stir gently. Pack what crumbs are left on top. Insert sticks or colorful straws. Freeze for at least 4 hours or overnight. (It’s easiest to freeze the dixie cups if they’re sitting on a cookie sheet.) Remove paper or remove popsicles from molds and enjoy! This post is sponsored by McCormick as part of my ongoing ambassadorship with them. All opinions are 100% my own and I thank you for helping me support the brands I love that make Crazy for Crust possible! Pie in popsicle form? YES, please! I can’t wait to give these a try. 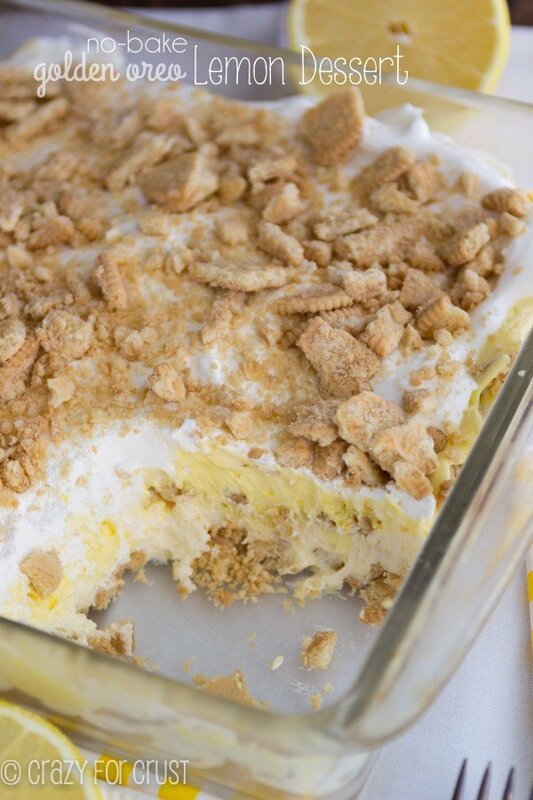 This is a beautiful combination of pie and a frozen dessert. I love how you didn”t leave out the pie crust! I little bit of lemon zest in these would make them over the top amazing! Yummy!